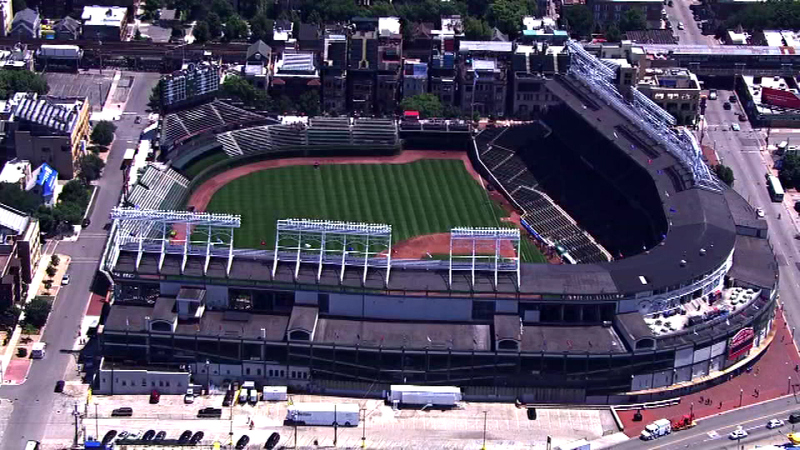 CHICAGO (WLS) -- Fireworks will headline the Fourth of July celebrations at Wrigley Field next Saturday night. It will be the first ever post-game fireworks show at the Friendly Confines. Game time is 7:15 p.m.
On Friday, the team will toast to the new bleachers. And on Sunday, its family day where kids can run the bases.